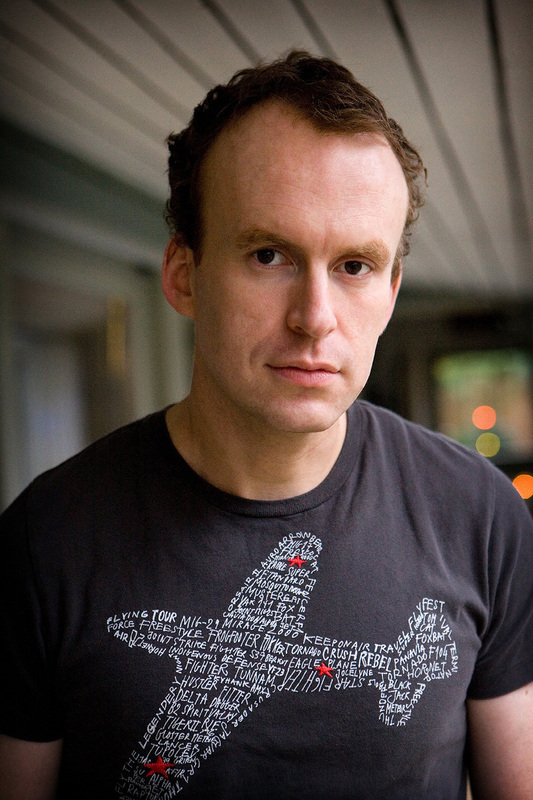 This reading group guide for The Radleys includes an introduction, discussion questions, ideas for enhancing your book club, and a Q&A with author Matt Haig. The suggested questions are intended to help your reading group find new and interesting angles and topics for your discussion. We hope that these ideas will enrich your conversation and increase your enjoyment of the book. Meet the Radleys, a typical British family. Peter works at a medical clinic while his wife, Helen, tends to the family home at 17 Orchard Lane. Rowan and Clara, their children, are teenagers struggling with the highs and lows that adolescence brings. The Radleys, however, have a dirty secret in their past, which comes to light when Clara finds herself standing over the body of a thirteen-year-old boy that she has murdered. When a police investigation is launched to find out what happened to the boy, the household is set for disaster. To make matters worse, Peter’s brother Will arrives and throws the house into turmoil as the Radleys grapple with the temptation that tasting blood brings. Old secrets are unearthed, new obstacles appear and the Radleys must struggle to keep it all together. The Radleys is a stirring novel that explores the lengths a parent will go to protect a child, the cost of denying one’s identity, the undeniable appeal of sin, and the everlasting bonds of family love. 1. In the opening lines the author describes the Radley household as one that “you would observe . . . and think that this is the property of perfectly normal human beings who pose no threat to the outside world. If you let yourself think this, you would be wrong” (p. 6). How “normal” are the Radleys? Despite their vampire background, do they have the same struggles as every other “normal” family? 2. What is The Abstainer’s Handbook? What do Peter and Will each think about it? Why do you think the author chose to interject various quotes from The Abstainer’s Handbook throughout the course of the novel? 3. On the surface, Rowan and Clara Radley seem to suffer from the same problems of every adolescent: bullies, schoolwork, popularity, etc. How are their adolescent issues magnified by the fact that they are vampires? Does life get easier or harder once they find out their family secret? 4. What causes Helen to realize that their “nurture over nature” parenting lifestyle has failed? Do you believe that an incident like Clara’s was bound to happen sooner or later? 5. After Clara’s incident each member of the Radley family struggles with the temptation to indulge in their thirst for blood. Discuss how each family member responds to the temptation. Whose response shocked you the most and why? 6. When we first meet Uncle Will he seems to be the complete opposite of his brother Peter. As the novel progresses, we discover they are more alike than we think they are. How so? What caused the rift between them? What are Will’s arguments against an “unblood” lifestyle? What happens to Will over the course of his visit to the Radley household? 7. All of the main characters in The Radleys struggle with their desires. The Abstainer’s Handbook states: “We have to learn that the things we desire are very often the things which could lead to our own self-destruction.” (p. 88) Discuss this quotation with respect to Will, Peter, Helen, and Jared. 8. Clara argues, “Everyone represses everything.” (p. 287) Do you believe this to be true? Is The Radleys an argument for denying or embracing who you really are? 9. The Unnamed Predator Unit hunts vampires but operates under the logic that by “granting immunity to some of the most depraved [vampires], they were able to exert an influence on them and curb some of their activities.” (p. 165)Do you agree with this mentality? Why do you think Will is removed from their “immunity” list? Do you think the “new” Radleys have anything to worry about from the UPU? 10. Near the end of The Radleys there is an excerpt from The Abstainer’s Handbook that reads “If you weaken, if you choose pleasure over principle . . . then you will never be able to know tomorrow . . . is it really worth rolling the dice?”(p. 351) How do you think the Radley family would answer? How would you answer? 11. The Radleys seem like a perfectly normal family except for the fact that they are vampires. How are the problems they face similar to or different from that of any other normal family? How many of their problems do you think are actually rooted in them being vampires? 12. Do you think their vampirism functions as a metaphor for something else? If so, what could their being vampires represent? 13. What do you think of the ending? How has embracing their true natures enabled the Radleys to live more fully? How does it affect other people in their lives? 1. Still stuck in vampire ecstasy? Enjoy a vampire movie night with your book club and show some of the classics: Dracula, Interview with the Vampire, Nosferatu, Martin, and more. 2. Throughout The Radleys we encounter a number of rules that govern vampires. Have each person in your book club come up with a new vampire rule, why they think it should exist, and then share. 3. Follow this fun and easy recipe for a “Vampire Blood Drink” and share with your book club! Add the sorbet, softened, and stir until it disappears. Add the seltzer. Pour into glasses and stir with Glow Sticks swizzle sticks. The Radleys has been described as a “family satire about midlife crisis, addiction, sexual desire, and teenage angst enacted among a twenty-first-century nuclear family of vampires.” Why did you decide to make them vampires? What element did that add? I deliberately tried to make the Radleys as recognizably normal as possible. This is because I wanted this, first and foremost, to be the story of a family, and about the pressures families face. Vampirism in this novel becomes just another family pressure, but as a symbol of desire, obsession, and addiction has real world relevance. I thought it was the perfect metaphor for all those destructive forces that can tear families apart. Why did you feel it necessary for the vampires to have rules that govern them? Would they be too powerful otherwise? Well, the rules are primarily for the abstainers. But even the practicing vampires have rules regarding the deal they’ve made with the police. This was mainly to make it as realistic as possible, to show the reader that if vampires existed they probably wouldn’t know about them. In reality, you’ve written two books in one: The Radleys and The Abstainer’s Handbook. What was the inspiration for The Abstainer’s Handbook? Do you feel that it ultimately fails the Radleys? The Abstainer’s Handbook is an abstaining vampire’s self-help manual, and it has a joyless, anti-life message. I suppose I am satirizing overly puritanical moral structures and how they can be counter-productive. It certainly fails the Radleys. How much research did you do for the book? Was your vampire jargon your own creation or borrowed from others? The research I did was more into the human aspects – researching medical information for Peter’s patients at the doctor’s surgery. I am quite well-versed on vampire films and literature anyway so didn’t need to research that too much. The jargon is my own. You reveal that a number of famous people from history are vampires. Are there any other celebrity vampires that were omitted from the final draft? Elvis Pressley, Marquis de Sade, Edgar Allen Poe. At the end of The Radleys, everyone is given a “second chance”: Clara is let off the hook, Eve is saved from the brink of death and the Radley family is closer than ever. Why did you choose to end it this way? Was there ever a draft in which the ending was not so happy? How would you respond to readers who say that the Radleys got off too easily? This is my first every happy(ish) ending. I believe it is the only ending I could have written, one which offers an alternative to the two-extreme lifestyle choices as advertised by Will on the one hand, and abstainers on the other. And it’s by no means a closed ‘happy ever after’ ending, because it is very unpredictable how the Radleys will cope now they have a renewed taste for blood. Do you believe that we could live in a society where humans and vampires co-exist? Or, do we already? I think it would be difficult but given the blatant marketing opportunities I’m sure there would be an incentive to get along. 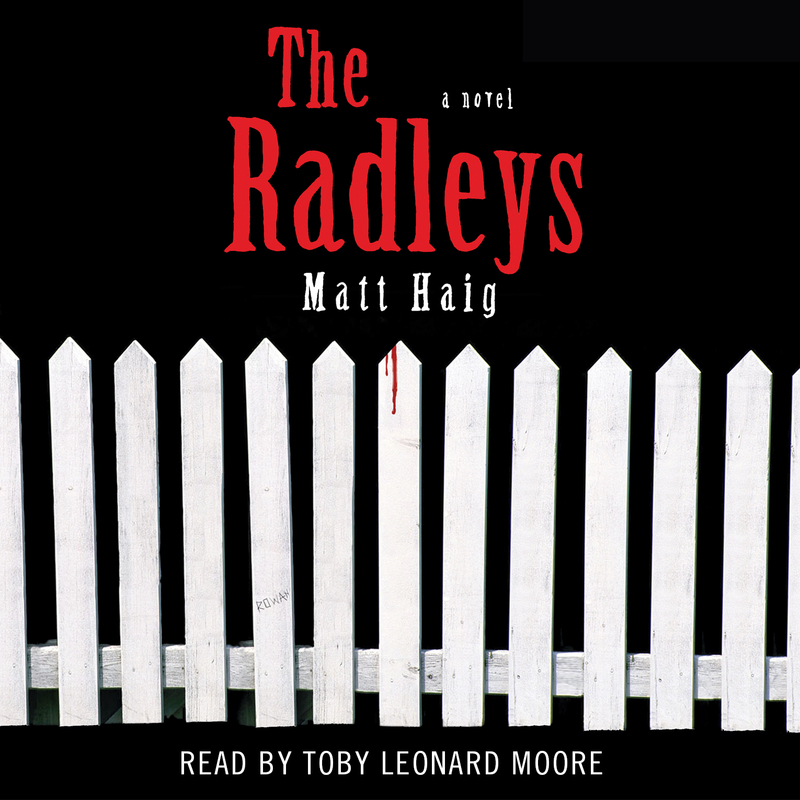 The Radleys was published in the UK in July of 2010 and has been sold at auction in 11 countries so far. How do you feel the book will resonate with American audiences as opposed to British audiences? I don’t know. In some ways it’s a very British story because it’s set in Britain and the Radleys themselves are a very British type of middle class family, but really the concerns of this book aren’t nation specific. Obsession, infidelity, addiction and parenthood, and growing up are pretty universal things, I think. Between Stephanie Meyer’s Twilight series, HBO’s True Blood and Susan Hubbard’s Society of S, The Radleys comes at a time when the vampire craze is sweeping the nation. Why do you think we’ve been gripped by vampire fever? Jungian psychologists believe the vampire myth is part of our collective unconscious and rises up in some form at certain points in history – the Romantic period, the late-Victorian period, the 1980s and now. Why all these things have sprung up almost simultaneously, I don’t know, nor do I know why people suddenly have an appetite for them. I’m suspecting it has something to do with collective guilt about what our own appetites have indirectly done to the world, which probably explains why most vampire stories deal with blood-guilt as much as blood-lust. Alfonso Cuaron, director of Y Tu Mama Tambien and Harry Potter and the Prisoner of Azkaban, to name a few, has optioned your book. Any thoughts on who you would like to see play some of the main characters? Out of all of them, Will would be the obvious A-list role. When I wrote the book I saw Will as either a British Jack Nicholson circa 1972 or a young Oliver Reed—both impossible, of course. Robert Downey Jr. with a British accent would be a modern day equivalent, I suppose. What’s next for you? Will we be hearing from the Radleys again? I’m working on a screenplay at the moment, along with a children’s book. I’m going to get working on another novel pretty soon. It won’t be the Radleys but I probably will return to them in the future. After all, vampires never die.